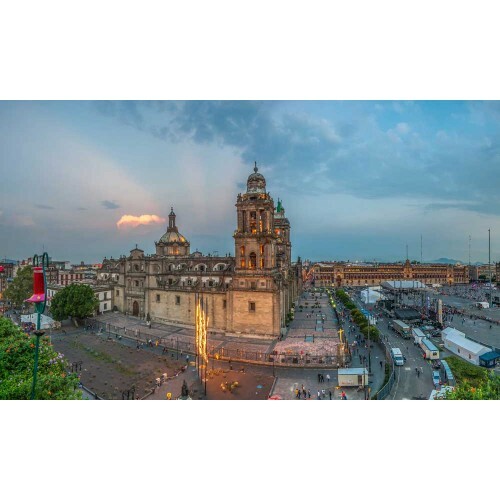 Experience the best of Mexico City, and surrounding states Puebla, Morelos, and Hidalgo on this action-packed 7-day tour! 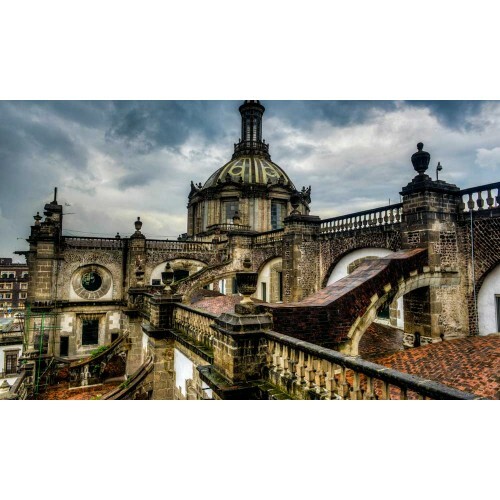 Visit the world's 2nd city with the most Museums and Historical landmarks followed by UNESCO-listed sites and the most charming colonial towns such as Cholula, Taxco and more! Climb to the top of Mexico's tallest pyramids at Teotihuacan and Cholula and learn about Mexico's history and the many possible connections with The Book of Mormon. 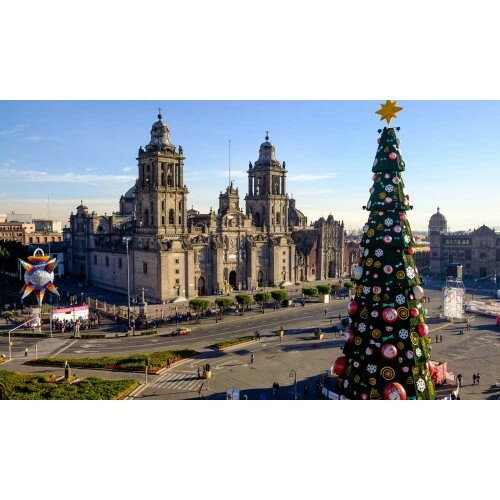 Enjoy the history, sites, food, and culture of central Mexico. Every part of this trip will be a fantastic cultural experience! Join our tour dates in September and enjoy an authentic Mexican fiesta at a local LDS ward in Mexico City. Or join our tour date in October and experience the world-famous Day of the Dead parade in Mexico City featured in the 007 Spectre film. Looking for the best price? Join our next tour dates and pay our group discounted price of $1,450.00 USD Tax Included! Group size average from 12 – 16 People. Arrival: All customers will be flying into the Mexico City international airport and will be greeted by our staff and transported to our hotel where they can get comfortable and ready for the week. We will have dinner together as a group and get to know each other. If there is time, we will visit the Latin-American Tower and view the city from above. 2nd Day: Templo Mayor, Historic Center and Zocalo Tour. Tour Aztec ruins of Templo Mayor & Historical Center in Downtown Mexico City. We'll visit downtown Mexico City. We will visit the "Zocalo" (main square), Palacio Nacional to see Diego Rivera's murals, Metropolitan Cathedral, Templo Mayor (Aztec Ruins Museum), main downtown streets, Bellas Artes (Palace of Fine Arts), and Alameda Central Park. And if you still have energy, we even might get to the Revolution Monument (recently renovated). If you join our October group, on this day, we will enjoy the world-famous Day of the Dead celebration featured on the film 007: Spectre! 3rd Day: Teotihuacan and Tlatelolco Tour. Visit the archaeological site of Teotihuacan. Your full day guided tour will highlight the complexities of Aztec treasures. You'll have the opportunity to climb the magnificent Pyramids of the Sun and Moon and see the Butterflies Temple, the Avenue of the Dead and the Temple of Quetzalcoatl. A step back in time that you'll never forget! After lunch in a buffet, we will also visit a second archaeological site Tlaltelolco and the plaza of the three cultures, a site in the urban city lost between Spanish and modern construction. 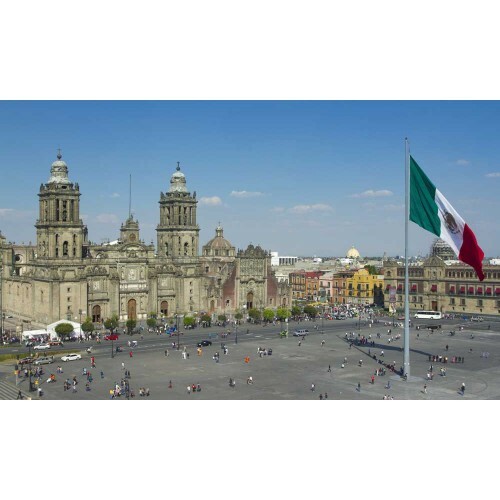 If you join our group in September, on this night we will have an optional Mexico City LDS Branch Independence Day celebration party we will attend! 4th Day: Tula Ruins and Mexico City LDS Temple. 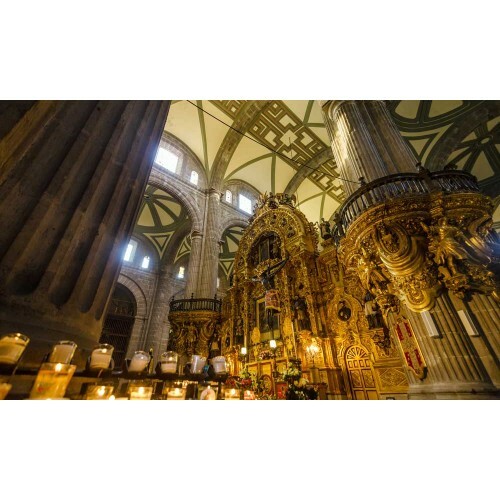 Explore the Tula Ruins, and Virreinato Museum and the LDS Temple of México City. 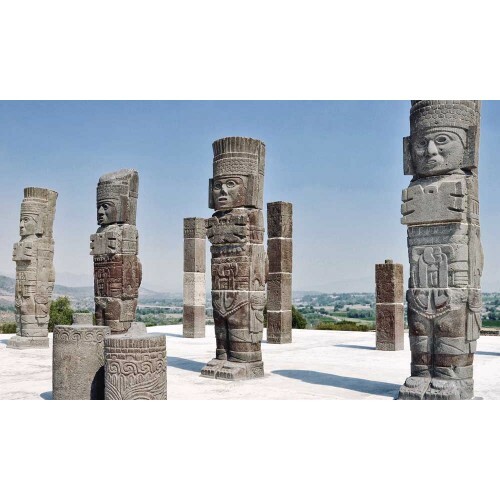 We begin our tour early in the morning towards Tula Hidalgo, an ancient Mesoamerican city and admire the beauty and grandiose of the Tula Atlantes, which are stones with a human form of great height and stature. Later, we will travel to Tepotzotlán to visit the National Museum of the Virreinato. The front of the temple of white stone has been called "The Jewel of the Crown of Mexican Churrigueresque style," and it is characterized by the ornamental richness of the sculpture with decorative and religious motifs... Finally, we will have some time for lunch, and then return you to your hotel for a change of clothes to visit the Mexico City LDS Temple. 5th Day: Xochicalco and Taxco Silver Mine Tour. Exploring Xochicalco ruins and Taxco, the silver capital of Mexico. Xochicalco, the land of mythology and legends of the “Great White God” and his second coming. We will enjoy a beautiful archaeological site decorated with detailed carving and sculptures rarely see. 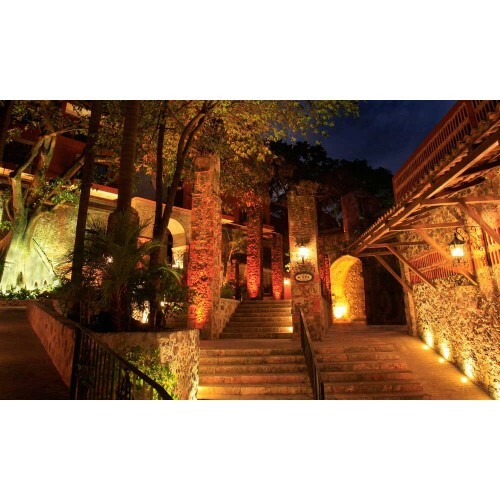 Enjoy the charming Magical Town of Taxco and head off on a shopping spree for silver! For lunch, we will visit the world famous “Hacienda Cortes”, Original home of Hernan Cortes restored and made to a museum with his original treasures and restaurant of excellent local cuisine. 6th Day: Cacaxtla and Cholula Pyramid Tour. Heading to Puebla, we will visit an important site, “Cacaxtla Ruins”, and enjoy the beautiful original fresco paintings portrayed at this beautiful archaeological site. Afterwards, we will tour the Great Pyramid of Cholula in Puebla and Downtown sightseeing. 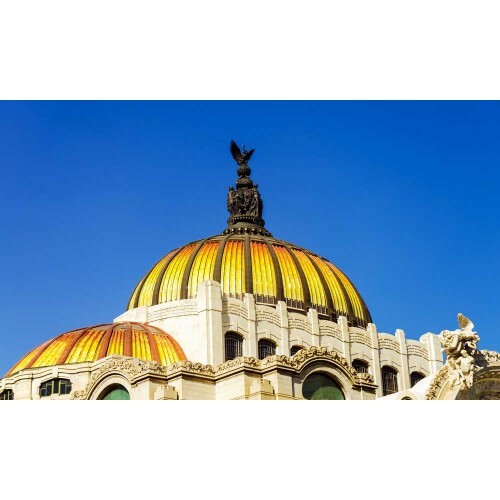 Experience the heritage and history of Mexico. See the world´s most massive pyramid at Cholula Archaeological site. 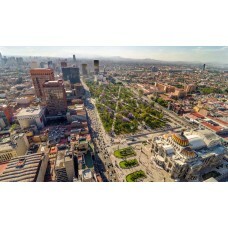 Continue to the city of Puebla to the UNESCO World Heritage site and the majestic Cathedral at the Main Square. We will also ride the “Estrella de Puebla” Wheel of fortune to have a sky view of the city of Puebla. Of course, eating and dining will be part of the experience, Puebla is known for the best dishes in Mexico. After early breakfast, we will check out of our hotel and depart to the airport for departures back home. Private luxury transportation full equipped with A/C and designated experienced chauffeur. 3 Bottles of purified water on each day, snacks, Mexican lunch meal per day, Dinner included only on first and sixth day. Flights into Mexico City and outbound. Dinners on days two through five.